There has been a change in the Maximum Indicated Airspeeds for holding patterns to bring them more in line with the rest of the world. This came into effect on 11OCT18 and will be reflected in the 08NOV18 AIP update. Refer AIC 25/18. It’s been over a year and a half since NavCanada suspended it’s Climb/Descend via SID phraseology, adding a complication for pilots that regularly cross the border from USA to Canada and v.v. It initially trialed then quickly suspended them “out of concern over altitude deviations we were seeing in the system and the unforeseen large increase in workload as a result. We are continuing to communicate with airlines, aircraft operators and our employees as we revert to the phraseology rules that were in place prior to this change.​” We understand this phraseology has now been officially put in the trash and wont be returning. 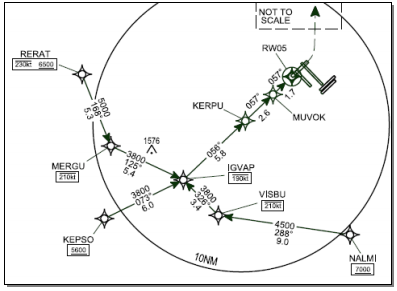 There are new nighttime RNAV approaches starting in CYYZ/Toronto Pearson from 08NOV18. These RNAV (GNSS) X instrument approach procedures are for night-time ops between 0030L-0630L on runways 5/6L/6R/23/24L/24R. The procedures are designed to minimize the noise footprint. The ATIS will advertise these as the primary approach type when they are active. Pilots can expect to be cleared directly to the initial approach waypoint, then subsequently cleared for the approach including the appropriate transition. Refer AIC 28/18. Do you know more? Drop us a line!